Shopping in Shenzhen has become somewhat of a local phenomenon in Hong Kong, with hordes of locals piling across the border at weekends to stock up on everything from apples and oranges to imitation Gucci bags. Why? Shenzhen is a bargain. And, if you thought Hong Kong shopping was cheap, Shenzhen will really bring a smile to your wallet. Sitting on the Hong Kong/Shenzhen border, and right next to the main border crossing, Luohu Commerical City is where most day-trippers from Hong Kong end up. Featuring over 700 shops set over 5 floors, Commercial City is likely to be the most intense shopping experience you’ve ever experienced. There are hundreds of salespeople and hustlers all jostling for your attention. Just about everything you could ever want to buy is on sale here, although it’s worth noting that a good majority of it is either imitation or counterfeit, but then you get what you pay for and prices are cheap. The best buys here are clothing, tailored suits, and probably the biggest draw, cut-price massages. You should be on alert for pickpockets and con artists as the mall is a magnet for both. One of the best places in the world to buy electronics and computer goods, the SEG computer market is packed with eight floors of small, independent dealers of both software and hardware for computers. Said to be the largest collection of electronic retailers in Asia, you will find everything here from cutting-edge microchips to Chinese own brand tablets and phones. Like elsewhere in Shenzhen, rip-offs and cheating are rife. But if you know your technology inside out and how much prices should be then it is a good place to bag a bargain. Just remember that there are no refunds and the warranty probably won't apply in your home country. China has become famous for its Artist Villages, where thousands of artists churn out high-quality copies of the world’s most famous masterpieces. Shenzhen’s Da Fen Village claims around 5000-8000 artists, all of whom can knock out a decent quality imitation painting in less than a day for no more than $40. Many of the sellers also offer to ship your purchase around the world. The most popular places for locals to shop are the streets and malls in the Dongmen area. The commercial heart of the city, Dongmen features a maze of streets filled with clothes, furniture, and handicraft shops. This is also where most of the big malls can be found. 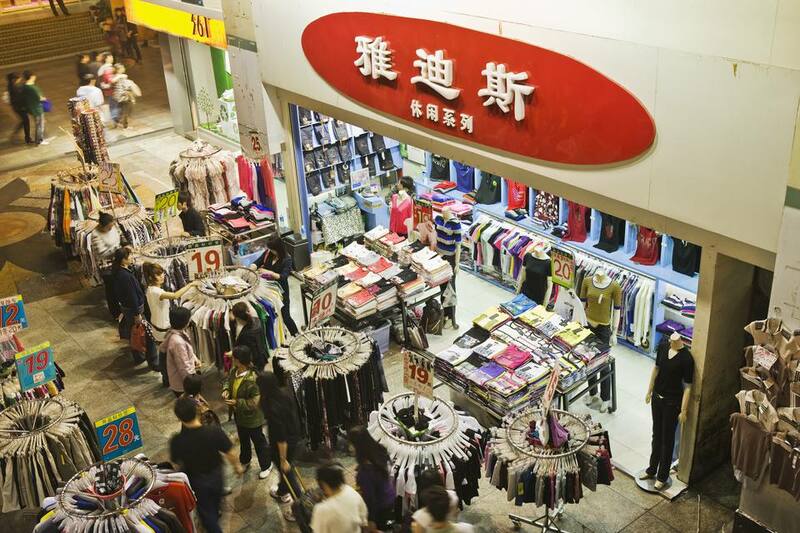 Groups of shops tend to be clustered together or inside a single building, such as the Hongji Handicraft City (Lixin Road) or Dongmen Fabric Market (Zhong Road). You should also keep an eye out for the flagship Sun Plaza mall, which features a number of international brand stores with cut down prices.